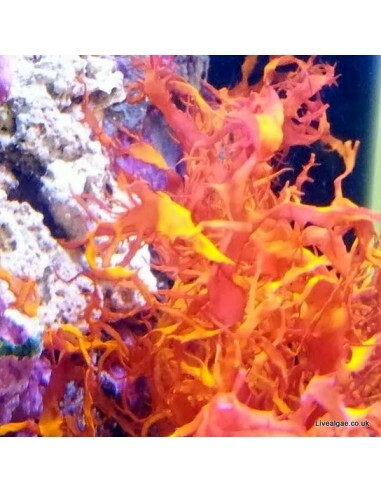 The Halymenia Durvillei or often just called Dragons Breath marine macro algae has a red coloured structure with vibrant orange - yellow fluorescence tips. 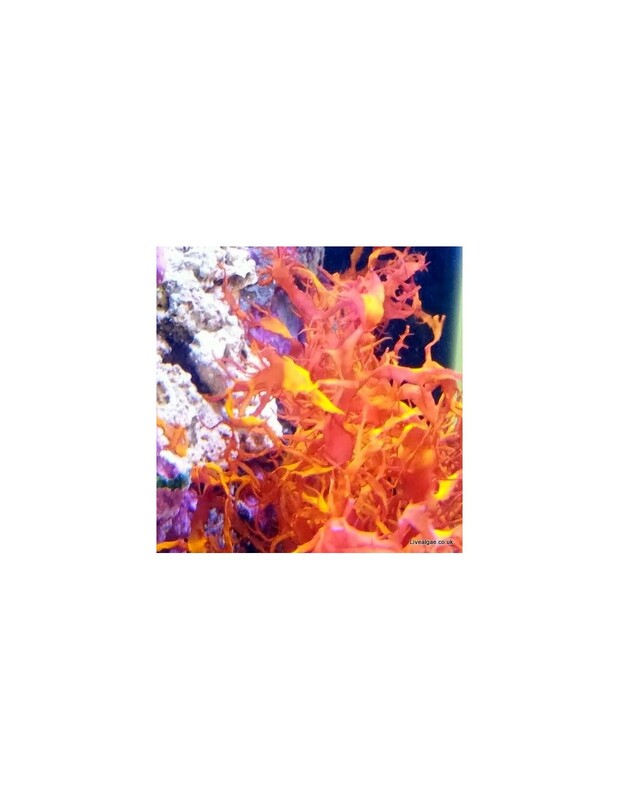 It has a more soft structure and will look great in any marine tank setup. Halymenia Durvillei prefers a place with medium to strong light to get the best colour out of it. This macro algae is not often eaten by fishes. As this macro algae species won't attach itself it can be easily glued ( we use thick cyanoacrylate super glue ) to rock where you like to have it.